Home » About » Our Doctors » Jon I. White, M.D. Dr. White is a board certified Orthopaedic Surgeon who specializes in disorders of the spine. He is fellowship trained in Orthopaedic Spine surgery in the treatment of cervical, thoracic and lumbar-sacral degenerative spinal conditions. Also, he is trained in the management of spinal fractures, infections, tumors and deformities. 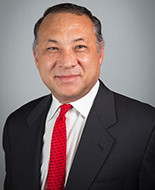 A significant focus of his practice includes revision surgery for failed prior surgeries requiring various cutting edge surgical techniques and technology. He is a general partner of Orthopaedic Specialty Institute (OSI) of Orange County. Prior to joining OSI, he was one of the founding partners of Irvine Orthopaedic Associates and practiced from the Sand Canyon Ave office in Irvine for the past 25 years. He will continue practicing at this Irvine office with the OSI partners. Dr. White graduated from the University of California, Berkeley with a B.A. degree in Microbiology and Immunology. Following his undergraduate studies he worked as a Senior Research Associate at the Donner Lab, Division of Biophysics, Lawrence Berkeley Laboratory at UC Berkeley studying red blood cell membrane rheology under the direction of Professor Howard C. Mel. Several studies were published based on “Rapid Pulse Spectroscopy” (RPS) and Staflo spectroscopy. From there, he completed his medical degree at The University of Michigan Medical School in Ann Arbor, Michigan. Then, he completed his surgical internship and orthopaedic surgery residency at the University of California, Irvine. He received the senior resident award for “outstanding research”. Following residency, he completed a orthopedic spine surgery fellowship at Northwestern University in Chicago, Midwest Regional Spinal Cord Injury Center. This fellowship was under the direction of Paul S. Meyer, Jr, MD and within the Orthopaedic and Neurosurgical departments. He then completed an additional fellowship in complex adult cervical and lumbar degenerative reconstructive surgery at Elmwood Medical Center, New Orleans under the direction of S. Henry LaRocca, MD, editor–in-chief of the Spine journal. Dr. White was an Assistant Professor in the division of Orthopaedic Surgery at the University of California, Irvine and director of the spine fellowship program at the UCIMC hospital and Long Beach VA hospital. 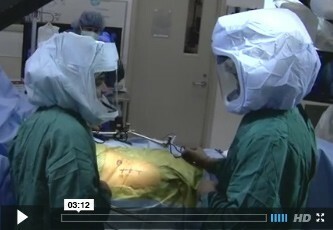 Over the years, Dr White has maintained a strong interest in academic spine surgery. For over a decade he was a member of the AO Spine faculty, based in Davos, Switzerland, and lectured extensively world wide on new spine surgery techniques and technology pioneered in Europe and Asia. He has published a book chapter on “Adolescent Pediatric Spine Disorders” and authored or co-authored various publications. He remains active with the spine industry in product development and intellectual property design. Dr. White’s wife, Melinda, is a lecturer in Hungarian Language and Literature in the Department of Slavic, East European and Eurasian Languages and Cultures at UCLA. He has three children and enjoys cooking, scuba diving, snowboarding, traveling and reading. He is an attending surgeon at St. Joseph’s Hospital, Orange and Hoag Hospital and Hoag Orthopedic Institute (HOI), Irvine.